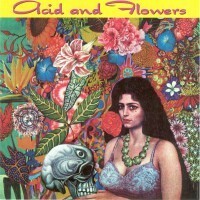 Acid and Flowerscontains a lot of interesting music, most of which is not available on other CD compilations. Most of the tracks on this compilation are late-1960s psych, with the garage element kept to a minimum. The compilers of Acid and Flowers clearly favored strong melodies and complex vocal harmonies, and they preferred swirling organ to fuzz guitar. Most of the tracks on this compilation are consistently good!